This is a unique modern tintype, created in-camera by David Sokosh using 19th century Wet-Plate Collodion process. 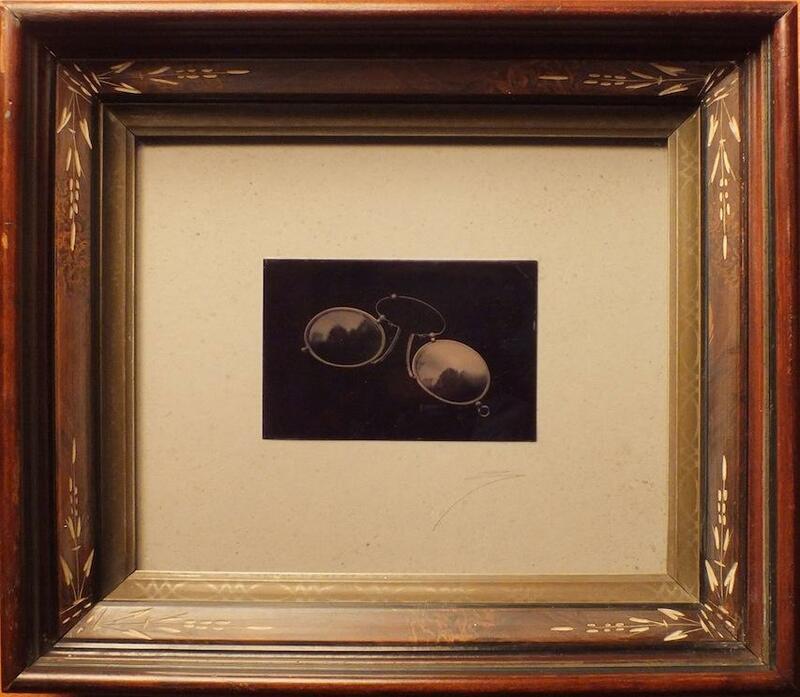 In an antique period frame. All photographs in the “American Tintypes” series are unique originals, each created separately in camera. There are no negatives, prints or editions. Each photograph is one of a kind. In an era of digital photography and mural-sized color enlargements, David Sokosh is part of the growing renaissance of artists making hand-crafted photographs, on an intimate scale, utilizing antique processes. Using the mid-nineteenth century technique of Wet Plate Collodion (a process used by the Civil War photographer Matthew Brady, among others), Sokosh creates unique photographs on metal, “tintypes”, which are often presented as objects, to be held in the hand. The images explore the New York photographer's collecting obsessions, and often reflecting his sense of humor. From plaster casts of Renaissance sculpture to natural history materials to antique objects -- or even friends who stop by the studio -- the photographs provide a rare glimpse into Sokosh’s unusual world. 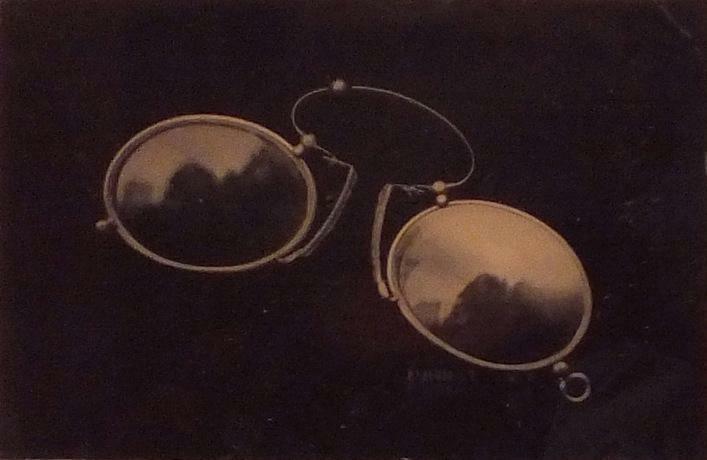 Items Similar To "David Sokosh: Pince-Nez, Brooklyn - tintype"